Nusalong: Ravelry & Instagram Drawing Winners! Hope everyone is having a great week! I just wanted to pop in and announce the winners of the drawing for the free download of the Cairn hat pattern. Thanks to everyone who posted! I've started seeing your colors on Ravelry and Instagram and holy crap, they are awesome. Congrats to beechilco on Ravelry, and @hilapups on Instagram! I'll be sending your patterns along shortly. Thanks again for entering, everybody, and happy Friday! I'm taking a breather from work this week, and I'm using the opportunity to cast on my Nusalong project. (You can check out my project page here.) The stitch count is pretty long on this pattern, so I'm watching dumb home improvement shows in the background while I cast on. 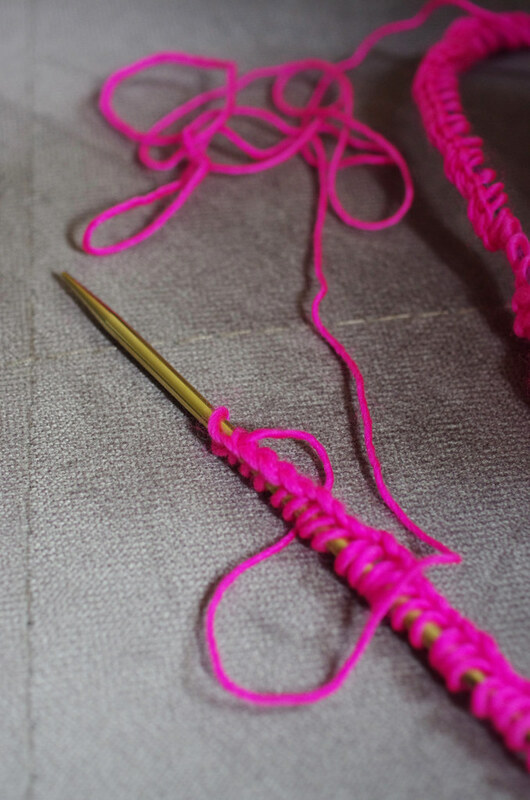 As a side note about the long cast-on - 300+ stitches can feel pretty daunting, and though it is time-consuming, it's actually pretty easy if you can catch a quiet moment to get it done. I usually cast on a kabillion stitches, then count and place stitch markers every 100 stitches after the fact. I count each section of 100 two or three times, which ensures that I have the right number. 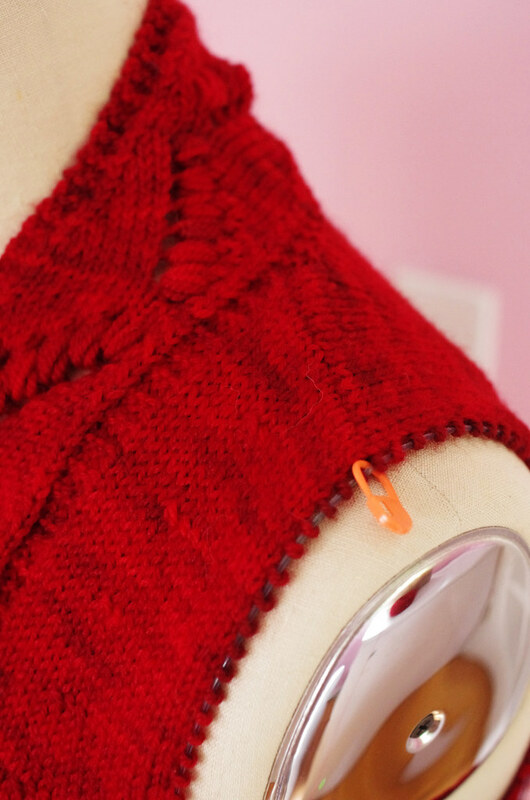 Then I pop extra stitches off the needle or add more as needed, counting the last section again after each adjustment. You can also divide into sections of 50 if that's easier - whatever works for you! Then, on the first round after the cast-on, I place my beginning-of-round marker and remove the other markers as I work. Easy peasy. Remember, tonight at 11:59 pm is the deadline to post on the Ravelry thread or on Instagram with #nusakal to enter to win a copy of the Cairn hat pattern! Don't worry if you need to cast on or join later, though - you're welcome any time. Happy Monday, friends, and happy Nusalong! Oh hey, guess what's coming up super soon? The Nusalong, friends! We start next Monday the 22nd - are you ready? 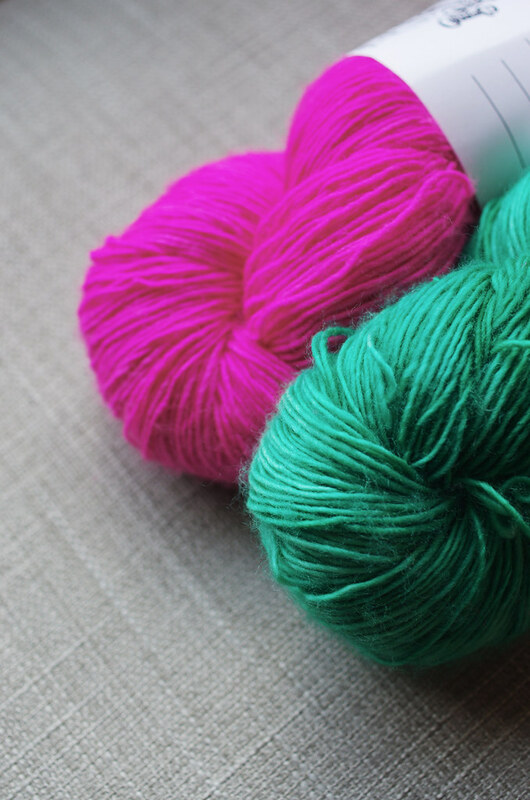 I'm so excited to see your yarn and color choices! 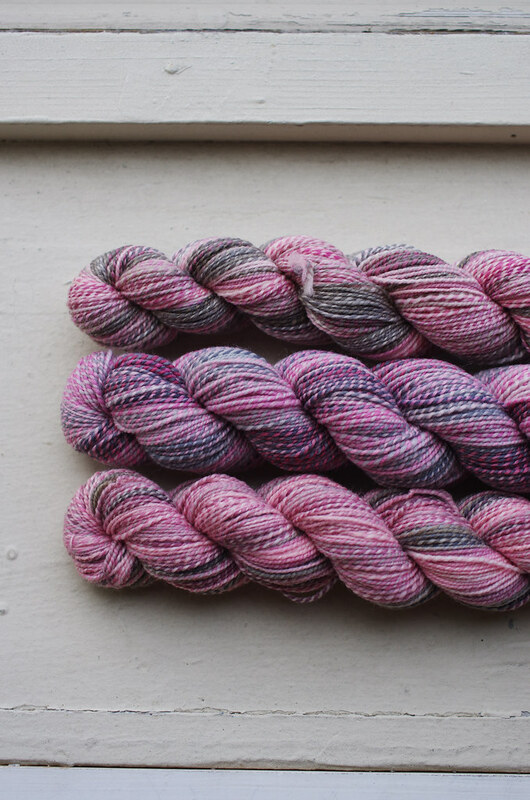 Stephania brought me my yarn while I was working at Madrona last week, and um, it's awesome. I was inspired by my friend Noriko's color choices in her Paulette shawl design, and chose Mermaid and Manic Panic colorways on aquae singles. As my current sartorial life goal is to dress like a glittery undersea creature, I am deeply excited to have a cowl that looks like I stole it from a frolicking dolphin in a Lisa Frank illustration. Thanks to all the folks who have already posted to the Ravelry thread - remember, post on the Ravelry thread, or to Instagram with #nusakal - or both! 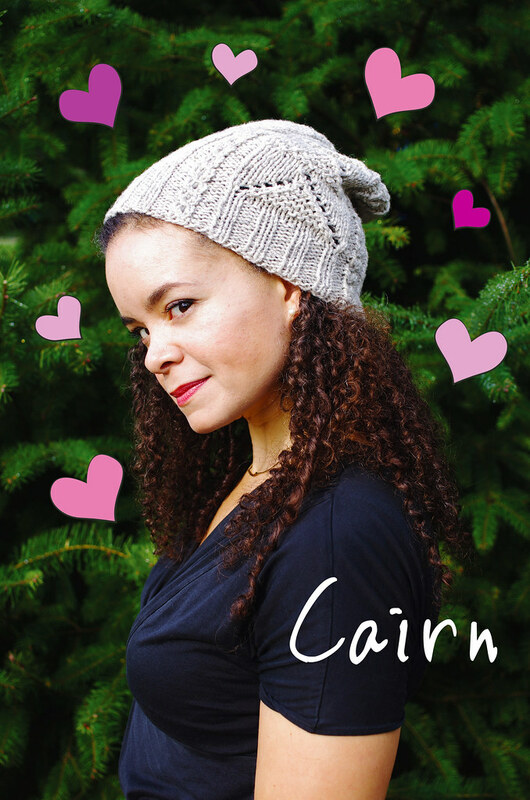 - to enter to win a digital download of my Cairn hat pattern. The discount for yarn from Three Fates has now ended, but you can still get the pattern in my Ravelry shop for 15% off - valid until March 21st - using the code NUSALONG. 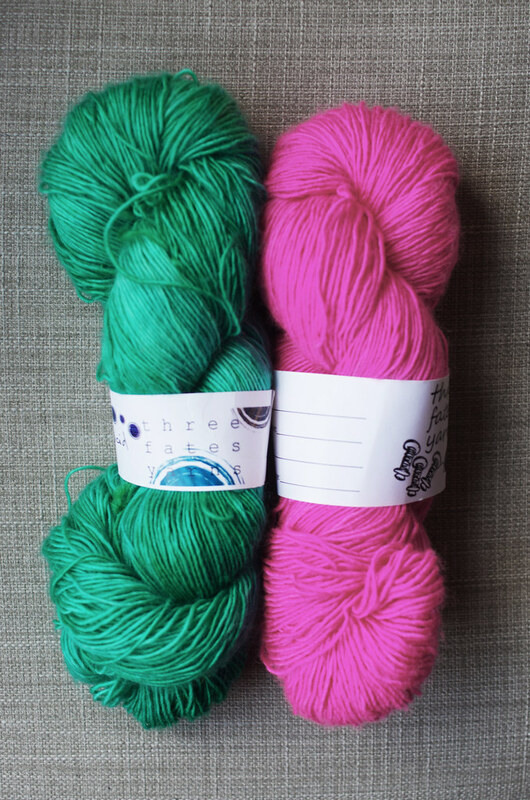 Either way, it's not too late to join - treat yourself to some Three Fates, use yarn from your stash, use handspun, steal hair from a unicorn's hairbrush, whatevah! We start next Monday the 22nd, although you can join any time from now until the moment that it ends on May 6th. I'll post again on Monday to kick it all off. 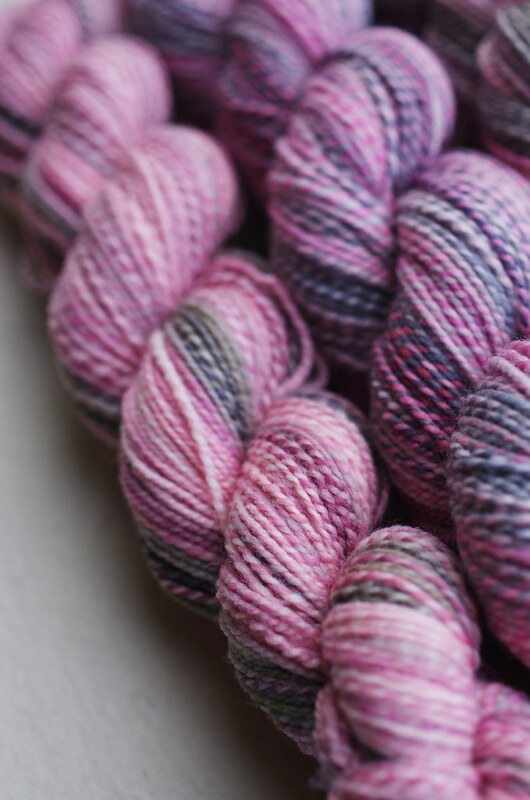 A few months back, The Fiber Gallery owner Mary, the Spincycle gals, and I started talking about developing a custom colorway for the shop to showcase at Madrona this year. Thinking of Art Deco and floofy '50s dresses, I helped create a mood board, and Mary, my coworker Cathy, and I brainstormed a name for the colorway. Then we sent it off to Kate & Rachel at Spincycle HQ to work their magic - and oh my gosh, friends, it really is magic. Because yesterday afternoon, Pink Panther hit our doorstep, and when I opened up the box, my heart stopped with happiness for just a second. Local folks can can come visit it at Madrona next week, exclusively at The Fiber Gallery's booth, where - let's be real here - I will probably be sitting in the corner petting and talking to it like a cat. Happy Friday! 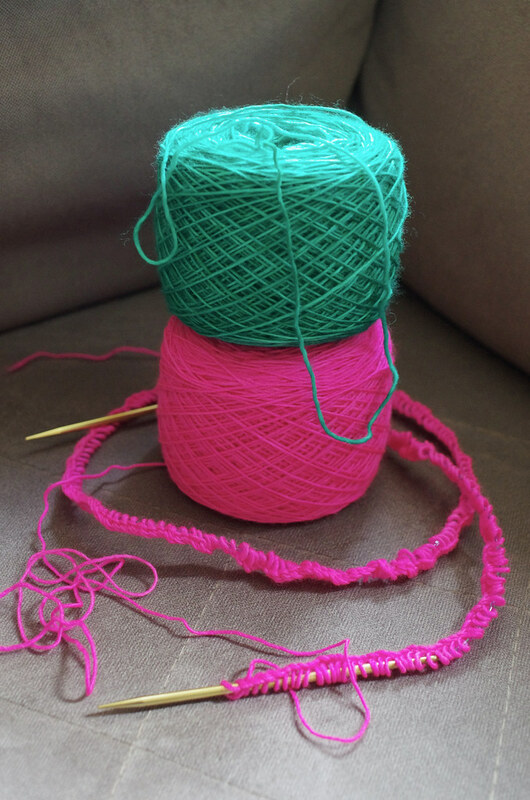 Happy Yarn Day! We settled on Rothko, a 85/15 Polwarth/Silk blend, to knit up another Sweet Root, and Susan generously sent me two skeins in the colorway Red. And oh my gosh, this yarn is amazing. It has a wonderfully crisp, wooly backbone, and just a touch of polish and drape from the silk. Nom! 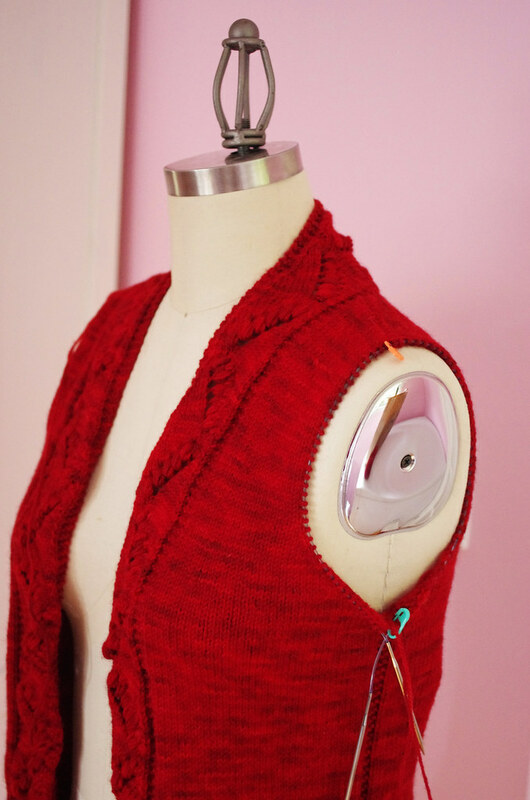 I've been plugging away on it since the beginning of January in anticipation of Madrona - you'll be able to come visit the sweater at the Abstract Fiber booth, along with my Indigo Lingon - and as of last night, I'm finally in the home stretch! 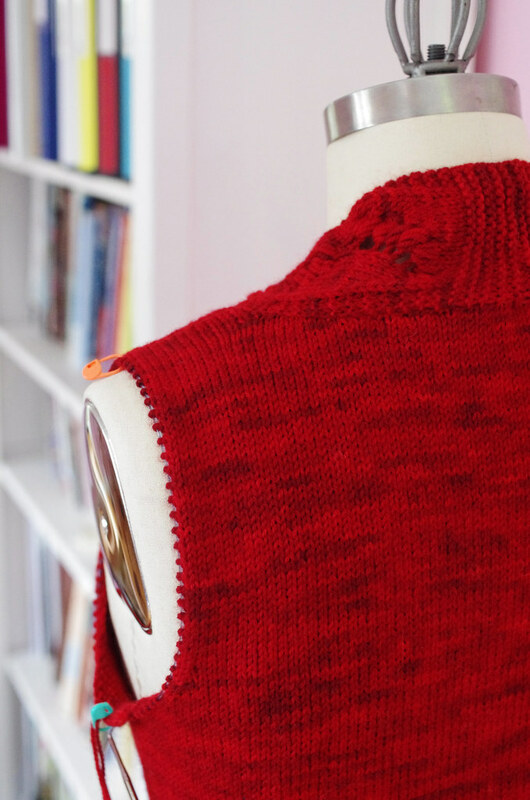 I seamed the back neckline and picked up for the first sleeve, and I'm hoping to have the sleeves done and the whole shebang blocking by this Sunday. 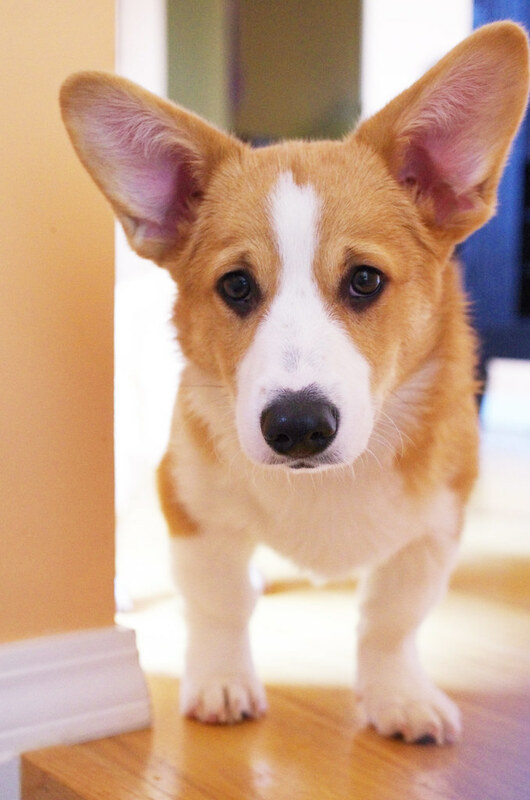 The Very Halpful Corglet thinks I can. Exciting news to share this week, friends! So, next week is the Madrona Fiber Arts retreat, which is always one of the highlights of my year - and this time, I have a new pattern that will be debuting just in time for the event, exclusively available in print at The Fiber Gallery booth. 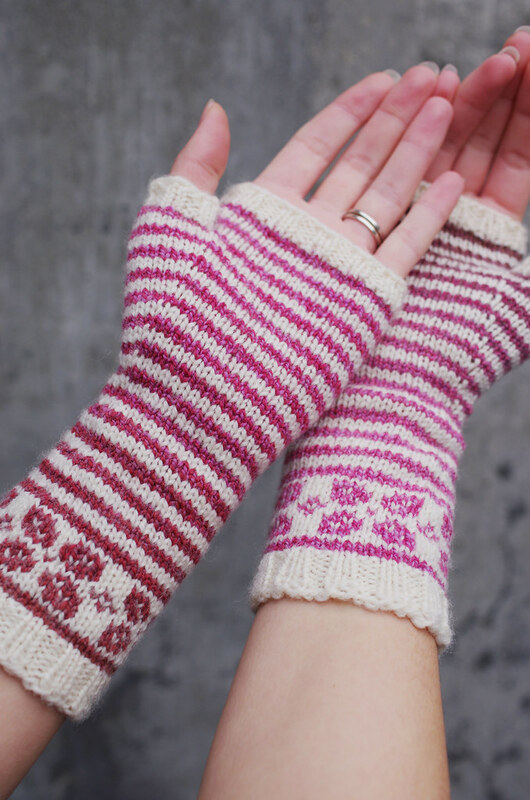 Local folks can buy their copy of the Lelia Mitts at Madrona (or at the shop, post-Madrona) and non-local folks will be able to download the pattern on Ravelry starting March 11th, 2016. I'll be working the Fiber Gallery booth at Madrona on Thursday, and I'll be hanging around the market on Saturday too - please do say hello! You'll recognize me by the Fluevogs and ridiculous outfit I am 100% likely to have on.